Infinity is one of those companies which provide you the massage chairs with the benefits of future trends. They have the latest technology, the most efficient warranty services and yet the least complicated massage chairs with a great massage experience. Though it may be counted as a feature by many, the experience in this massage chair is too addictive. The users who have been using this product for a while have been starting with their reviews with the word addictive. This may be a feature to many and a con to the rival companies for sure. For the ones with this many features in them, this chair is cheapest of all. It comes at a considerably low price of $5,895 and with free curb side shipping. As compared to the other manufacturers, the delivery timing is mostly earlier than the estimated time for this company for years. The upholstery and leather work is so comfortable and royal that one can use this chair as a normal couch in the living room too. The massage chair comes in a dual combination of colors that is black and caramel but is beautifully crafted in throughout the frame work. Iyashi is an industry revolutionising the ancient massage techniques. This massage chair comes with the Zen master and Ti Chi massage techniques which are infamous yet really effective in giving a medically helpful massage session. One of the most liked features of this massage chair is the compatibility with size and space of the room. It can work more efficiently than any other massage chair in a restricted space. It is a special gift for the ones with a small space to spare for the chair. 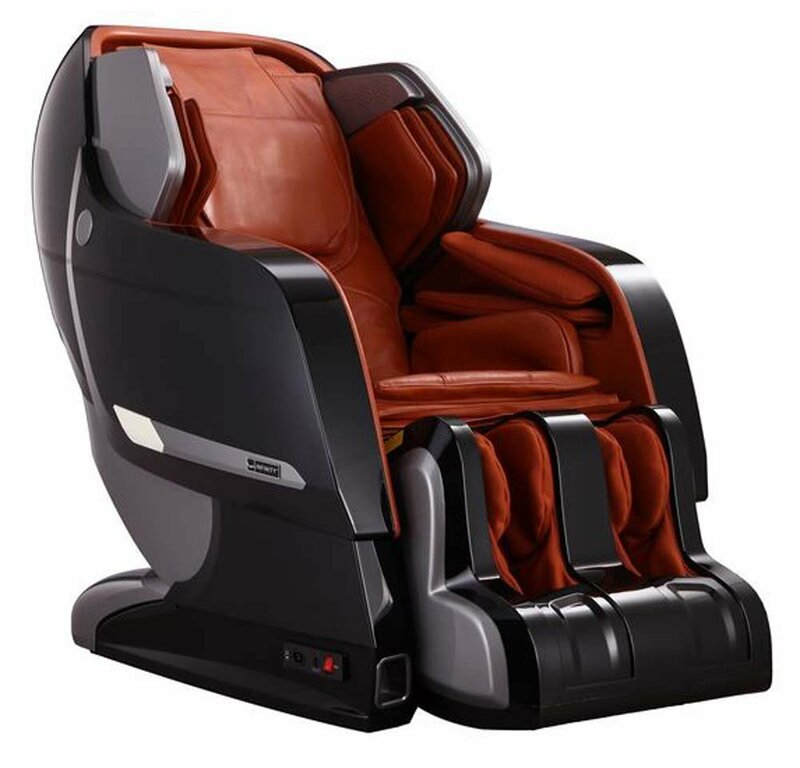 The massage chair is a set example of Iyashi’s most advanced features which include a smart phone remote control technology. You can control your massage chair with your smart phone using a mobile app available in both apple store and play store for ios and android users too. The product comes in a 3 box separate assembly which makes it clumsy to assemble. Also, the massage chair even after being simple to assemble requires more than one person for the assembly. It makes the chair a little tough to manage and install for the user without a guide or experience. The delivery is free of cost but is only limited to curb side delivery which makes it your responsibility to bring the 3 separate and heavy boxes into the house on your own. This may make it a little hectic for many people to stop them from buying it. People often preferred to buy this chair because of their experience with the previous model of it as the new one has more features and technologies induced in it. But, they were rather left unsatisfied as compared to the older version of this model. The older version of the massage chair model could provide a satisfying massage to the ones who were taller than 6 feet. But, the recliners in the new version do not extend much and often make the massage session feel like a cramped pressure session. The recliners do not go fully stretched which is one of the major basics of a zero gravity massage chair. Also, many users complained that the foot piece moved toward them during a full stretch mode. They had to manually override the procedure in order to get the stretch back again. The massage session timing limit is lesser by 10 minutes in the newer versions of the model. People who wanted to extend it had to go through the same mode right from the start in order to get it done and dealt with without much hassle. If you intend to buy a chair which gives you the ancient massage techniques for your massage sessions, this chair is just the right one for you. Even though the newer version satisfies a little less than the older version, it is still a demanded product in the market due to which it is often out of stock. So, if you want a company supported service product, this massage chair is the one you should go for.